How to Succeed in Attorney Web Marketing If you’re not confident in your law firm’s marketing, it might be time for a change. Learn why Foster Web Marketing gets it right. Do you often question others and put them on the stand? Do you sometimes doubt people when you’re told about upcoming new trends? You’re not alone. 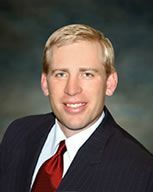 Houston attorney Brian Beckcom used to push back and question the team he hired to help his law firm grow. He would wonder why things were handled in a certain way, or why he had to participate in marketing strategies he wasn’t sure about. Over time, as he worked more with Tom Foster and his team, he learned a valuable lesson: to listen. With help from Foster Web Marketing, Brian’s law practice has exploded. He sees a regular stream of new cases arriving on his desk. He is actively engaged in areas of law where he is most passionate. Brian Beckcom has grown his practice to new heights with help from the entire team at Foster Web Marketing.